State Amazon Laws, Federal Legislation: Last month I presented two Webinars, both which dealt with one of my favorite (okay, my favorite) state tax topics – “Internet Sales Taxes”. The first Webinar, “State ‘Amazon Laws’ and Federal Remote Seller Proposals“, was a CPE Webinar geared towards CPAs. The second, “How to Navigate the Online Sales Tax Legislation Waters”, was a Webinar which I co-presented for Retail Online Integration, a monthly industry publication geared towards on-line retailers. It was this second Webinar, which was attended by over 200 small-medium (and even some large) online retailers, that got me to thinking. Now if you’ve presented a Webinar, you’ll probably agree that often an audience will ask relatively few questions either during or at the conclusion of a presentation – you’re likely to get maybe 5 or so. But this wasn’t the case with the Retail Online Integration Webinar. There were many, many questions presented both during and at the end of the presentation. No, this group most certainly wasn’t shy about asking questions! I was thrilled – I loved that this audience was so genuinely interested in the topic. But afterwards, and more importantly, I realized that the volume, the tone of, and the actual questions themselves, emphasized that for many small-medium on-line retailers, this whole concept of nexus and State “Amazon Laws” and the potential impact to them if federal legislation passes, is overwhelming and complex. As a result, I decided to write a post which would highlight some of the questions and concerns I heard from the audience that day and in the days following the Webinar, as questions continued to trickle in. My guess is these may be questions or concerns some of you may have too. I also thought I’d share some of the key points I made at the Webinar’s conclusion – sort of a recap of my Key Points slides. Q: I’m not using marketing affiliates in any state – so that means I shouldn’t worry about the State “Amazon Laws”, right? A: Unfortunately, on-line retailers can’t breathe a sigh of relief simply because they don’t have marketing affiliate programs in place. This is because there are many not so obvious activities that can create sales tax nexus – attending trade shows, soliciting sales (even if the sales solicitation is through non-employees), storing inventory in a third party fulfillment center (warehouse), etc. So even without an “Amazon Laws” in place, an out-of-state retailer needs to be aware that his activities might have already created a requirement to register and collect sales tax in a particular state. Q: Are all “Amazon Laws” about click-through nexus? I thought they were! A: Here’s something to keep in mind. The term “Amazon Law” has come to mean any type of state nexus expanding law intended to force out-of-state sellers to collect sales tax or encourage in-state customers to pay use tax. Certainly, what many people think of when they hear “Amazon Law” is that the law is about web-linking, click-through nexus. That is, people think of the type of law which says that contracting with marketing affiliates that post web-links on their site to a remote retailer’s online store will create an in-state physical presence and a presumption of nexus. But states are getting creative – they’re adding related party nexus provisions to their web-linking laws. These provisions, which confusingly are legally called “affiliate nexus” provisions, attribute nexus to an out-of-state retailer if the retailer is related (by common corporate ownership) to another entity that has operations in the state. California’s recently re-instated Amazon Law is a perfect example. Not only does California’s Amazon Law have a click-through nexus provision, it also has a provision that essentially says if another corporation, which is commonly owned, provides services related to the products sold by the out-of-state retailer or that benefit the out-of-state retailer, that retailer is deemed to have nexus. (See my 9/11/12 SalesTaxSupport.com post, “CA Sales Tax: Will Amazon Law Fill State’s Internet Shopping Cart?”, for more on California’s recently reinstated Amazon Law) Finally, you have one last type of law, which is sometimes also referred to as an “Amazon Law”. These Notification and Reporting laws impose requirements on out-of-state retailers to encourage the self-reporting of use tax (though some would argue that they’re also a way to force out-of-state retailers to collect sales tax). So the next time you hear that a state has passed an “Amazon Law”, it’s important to know whether the provisions of the new law deal with web-linking and/or related party affiliate nexus, or if the new law is a notification and reporting law. Q: I sell on Amazon’s marketplace and use their Fulfillment by Amazon (FBA) service. Should I be concerned about nexus? A: I hate to break the news to you, but yes, you should! As I understand it, using Amazon’s FBA service means that merchants send their product to an Amazon warehouse, where it is stored until an order for those inventory items comes in. Amazon then fulfills the orders on the merchant’s behalf – packaging and shipping the inventory to the merchant’s customers. Because merchants continue to have legal ownership of the inventory they send to an Amazon warehouse, they literally have physical property in the state – a definite nexus creating activity. Not only that, many states take the position that having a third party fulfilling orders on a seller’s behalf creates a nexus for the seller and a requirement to register to collect sales tax. Q: I make less than $500,000 in sales – so that means I won’t have to worry about collecting sales tax under any of the federal proposals, right? Q: What’s the current status of the federal “Internet Sales Tax” proposals – will any of them pass this year? A: Of the three proposals introduced by the current U.S Congress – the first proposal, the Main Street Fairness Act (S. 1452 / H.R. 2701, introduced in July 2011) really never went anywhere. And so, this left the two other proposals, the Marketplace Equity Act (H.R. 3179, introduced in October 2011) and the Marketplace Fairness Act (S. 1832, the last of the three proposals, introduced in November 2011) to duke it out. And for a while, it appeared that the momentum would move the Marketplace Fairness Act (S. 1832) into first place, in particular because the Marketplace Fairness Act (S. 1832) offered states two ways to obtain collection authority – states could be full SST member states or could implement the Act’s alternative requirements. But this past summer, the Marketplace Equity Act (H.R. 3179) seemed to gain some momentum following a July 24th Judiciary Committee hearing. A hearing, which many observers felt was fairly amicable – at least by political standards – and justly focused on what the small seller exception should realistically be set at. (See my 8/13/12 SalesTaxSupport.com post, “Marketplace Equity v. Marketplace Fairness. Is Either the Right Solution?“, for more on this hearing.) But with Congressional elections just a few weeks away, there are many who believe a lame duck Congress won’t act on either proposal. Still, I’m a believer in the saying “it’s not over till the fat lady sings” and she ain’t sung yet! “Amazon Laws” require that there be nexus to the “taxing state” – even if nexus is only created through a mere web-link posted on a compensated marketing affiliate’s web-site, there is still a nexus requirement! The federal remote seller proposals do not require nexus to the “taxing state”. As long as a state meets and fulfills the federal law’s requirements, the state can require remote sellers (that do not meet the definition of a small seller) to collect their state’s sales tax. “Amazon Laws” will not cease to exist even if federal legislation is enacted! A state may prefer to enact is own state law as opposed to becoming an SST member state or complying with the federal law’s alternative simplification requirements. Because State Amazon Laws may co-exist along with a federal law, businesses will still be required to focus on their nexus profile. However, they will also need to focus on what actions various states are taking to comply with the federal law. State “Amazon Laws” and the federal proposals will impact many “smaller” internet sellers. These laws do not impact online only retailers, brick-and-mortar retailers that make sales over the internet are also impacted by these developments. 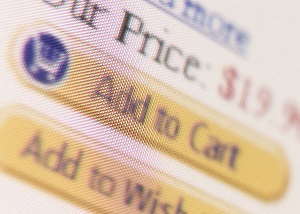 If neither the Marketplace Fairness Act (H.R. 3179) or the Marketplace Fairness Act (S. 1832) is passed in the current Congressional session, it is highly likely that similar legislation will be introduced by the next Congress. It is also likely that new/comparable legislation will be introduced early in the next session. Whether we agree with it or not, it’s no longer a matter of “if” federal legislation will pass, it’s a matter of “when”. *The above post is based on my 10/24/12 post, "Top Internet Tax Questions from Retailers Reveal Complexity of Issue", which I wrote for SalesTaxSupport.com's Sales-Use Tax Issues, Insights & Ideas Blog. The post has been reproduced and expanded upon for the benefit of The State and Local Tax "Buzz" readers. For more about my contributions as the Internet Tax/E-Commerce blogger for SalesTaxSupport's Blog, see the side bar text box or, visit my contributor page at SalesTaxSupport.com. Also for a full listing of, and links to, all of my SalesTaxSupport.com posts, see my "Posts Written for Other Blogs/Websites" page (tab above) here on The State and Local Tax "Buzz".